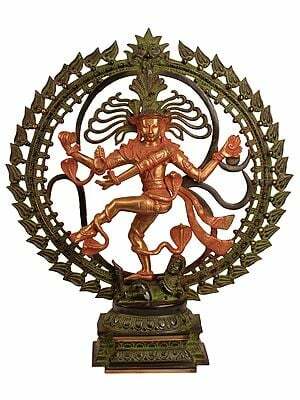 The three tenses, past, present, and future are real to mankind, but in divine terms they are fragments of one Time, called Mahakala; this is one of the names of Lord Shiva, for in him they are united. 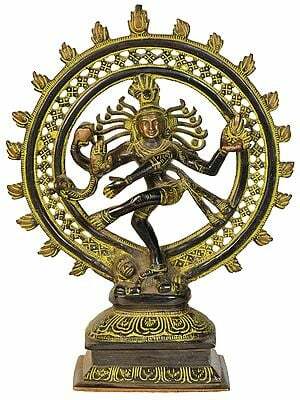 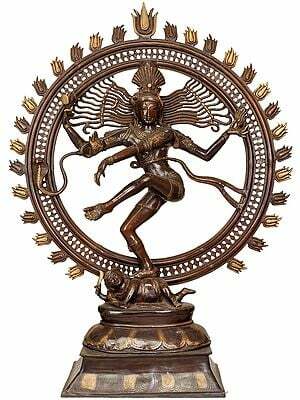 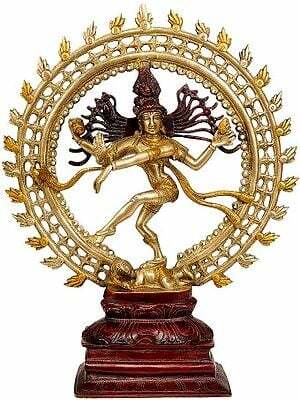 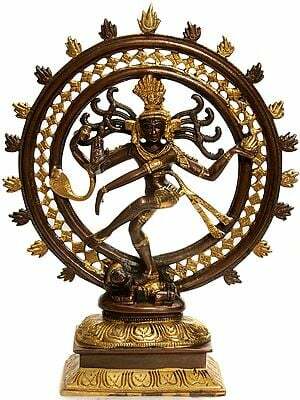 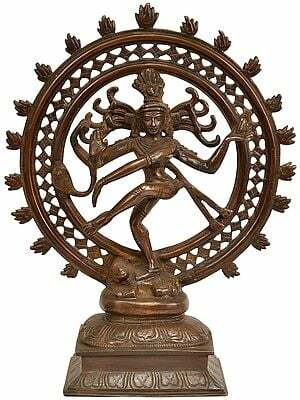 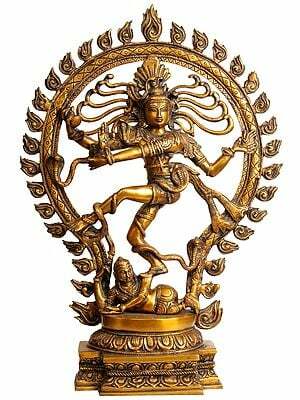 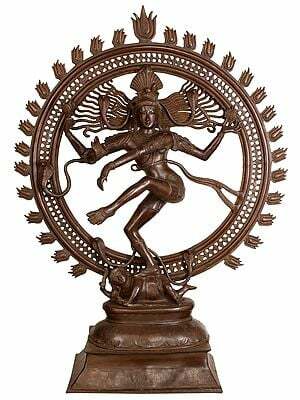 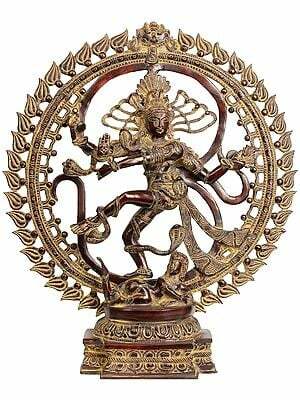 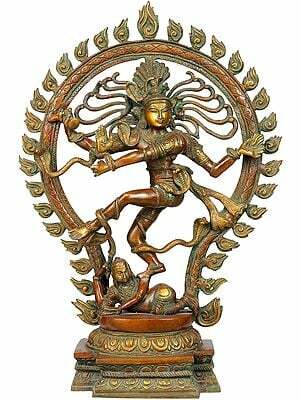 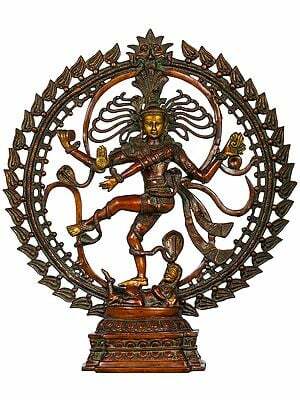 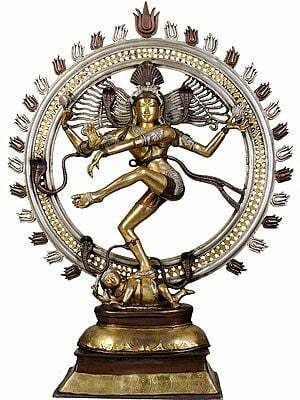 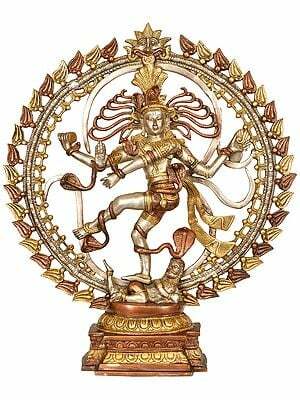 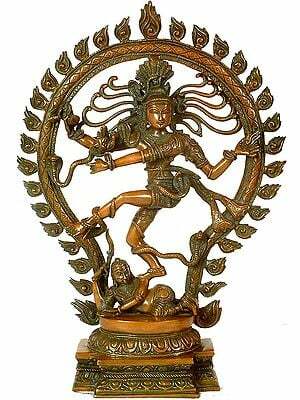 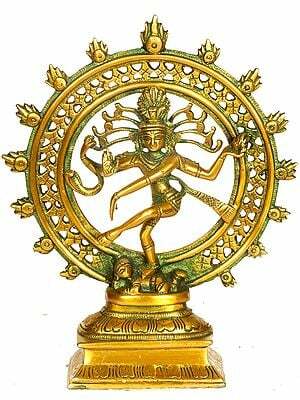 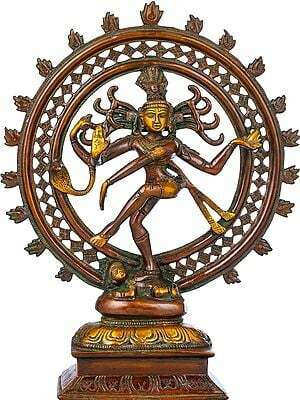 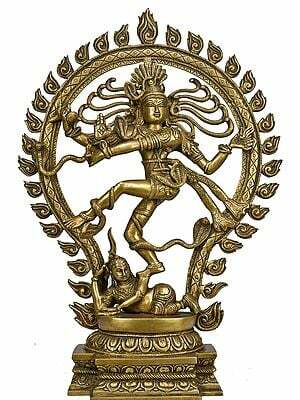 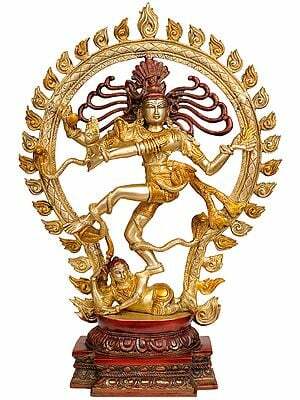 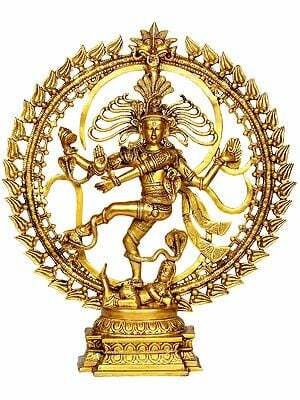 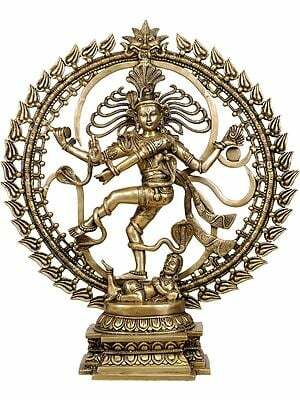 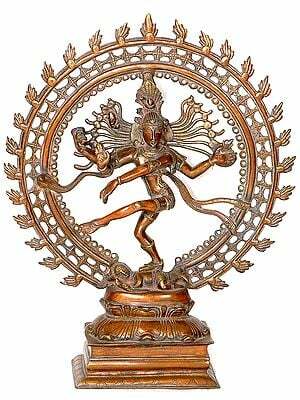 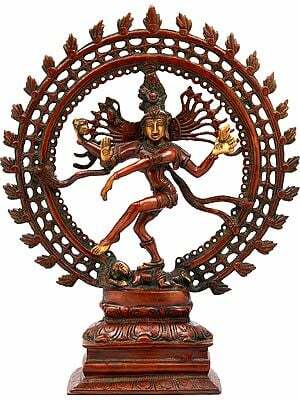 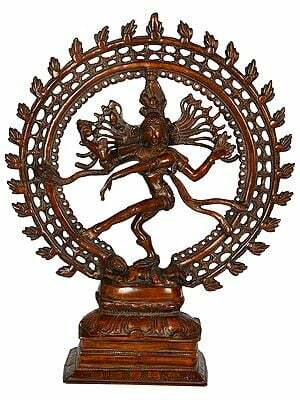 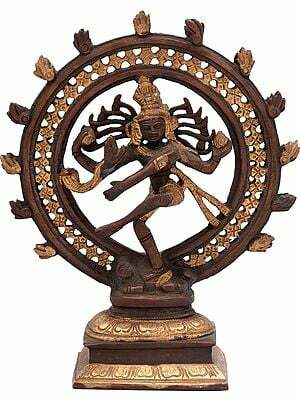 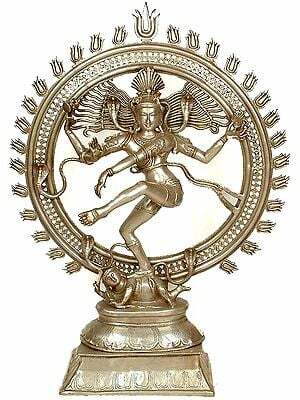 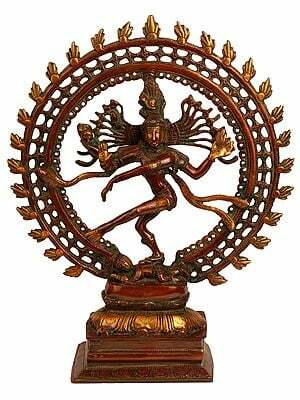 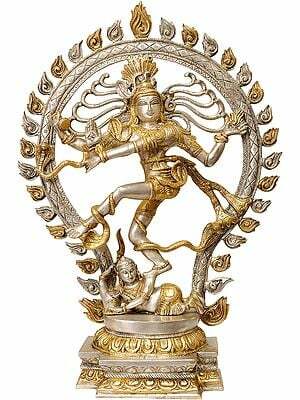 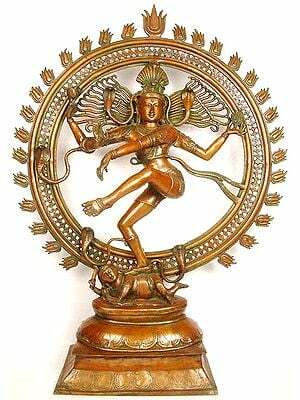 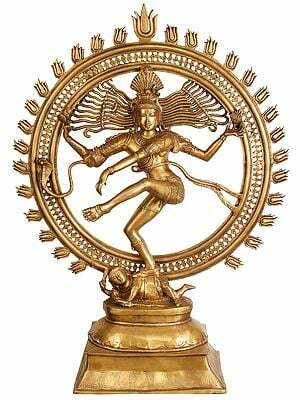 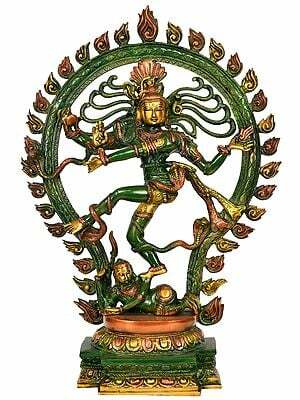 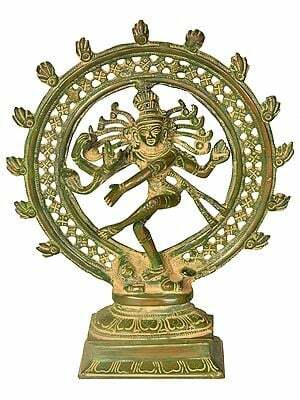 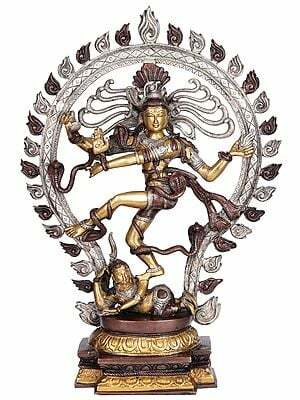 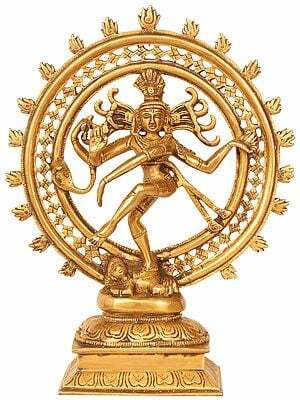 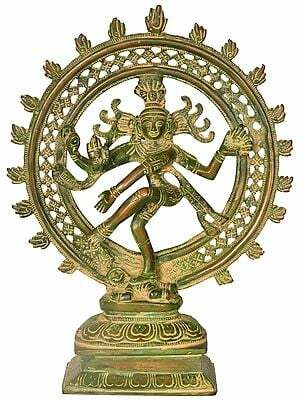 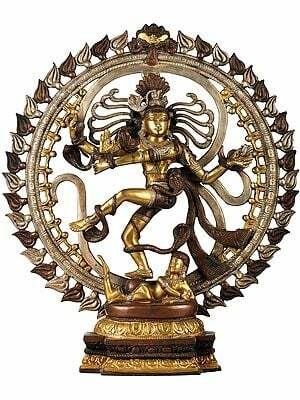 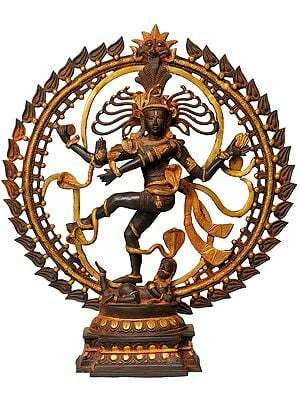 Many different types of image express this concept, but the most celebrated is undoubtedly that of Shiva as Nataraja, ‘Lord of the Dance’. 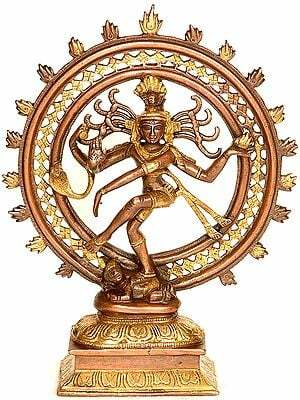 In his upper right hand, the dancing god holds a drum (damaru) shaped rather like an hour-glass, the skin stretched, across the two extremities; it is sounded by a rapid rocking motion of the hand, producing a loud, staccato noise. 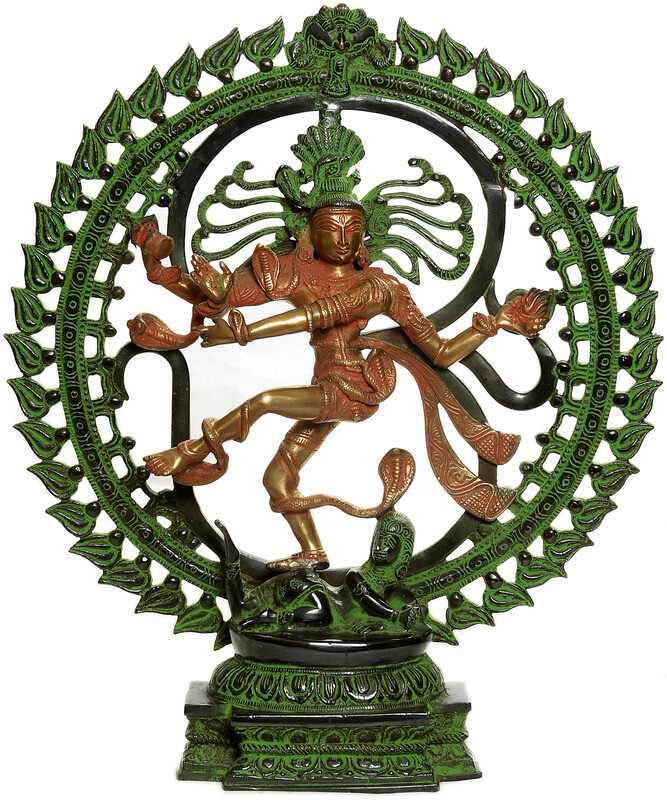 The basic word for sound is shabda, and it is often considered the subtle continuum which is eternity; the shabda-brahman essentially consists of the sacred words of the Vedic hymns, the essence and origin of dharma, the oldest entity of the universe, condensed in the sacred syllable aum which is itself threefold (a-u-m). 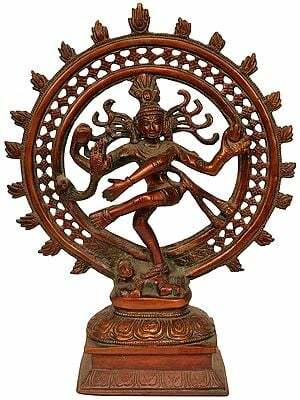 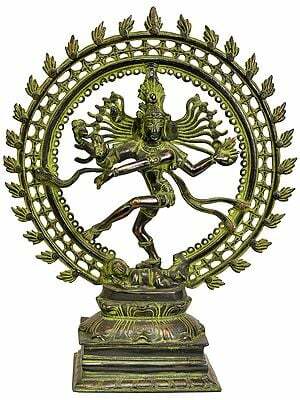 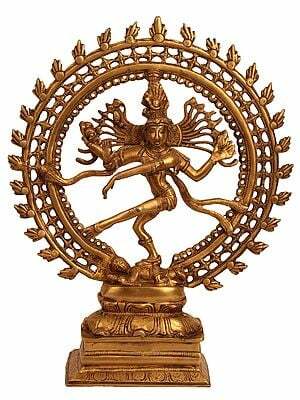 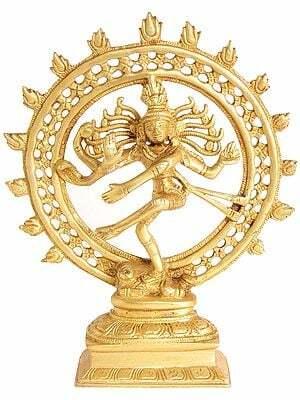 This is represented in the OM forming the background for Shiva's dance here. 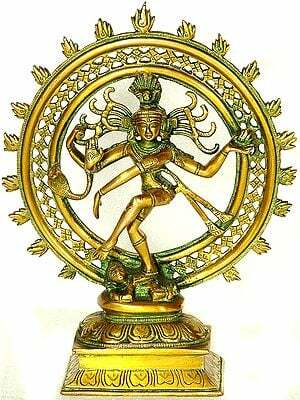 By sounding the drum, therefore, Shiva continuously echoes the primeval sound from the infinite depths of time past; and in so doing, he provides his own musical accompaniment for the dance, which is the very dance of time and all that comes to pass – for all things happen in time, which must exist before space can be extended. 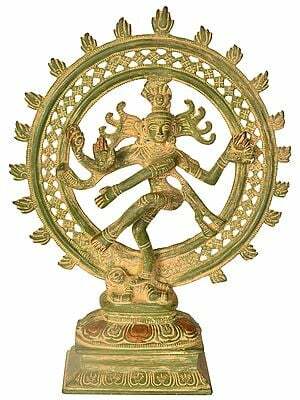 The dance takes place in one spot, and that is the central, dynamic axis of the universe and of man. 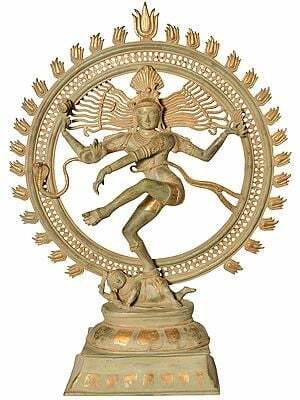 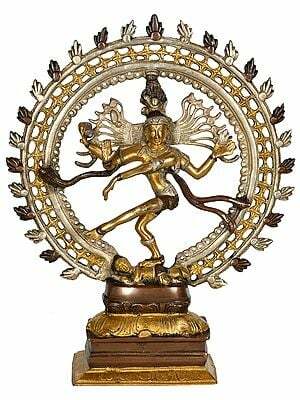 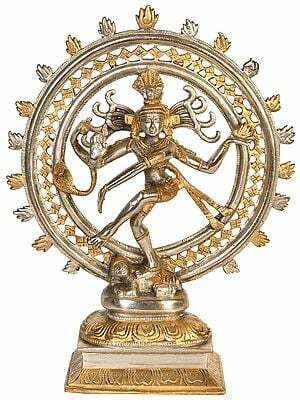 It is the rhythms and dynamics of this dance of Shiva which govern the inherent power and organization of the universe. 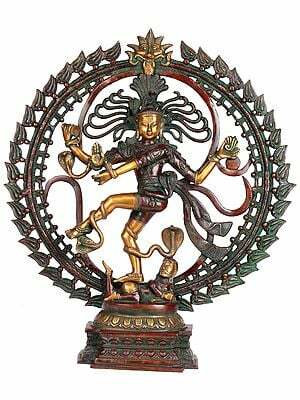 In his opposite left hand Lord Shiva holds fire. 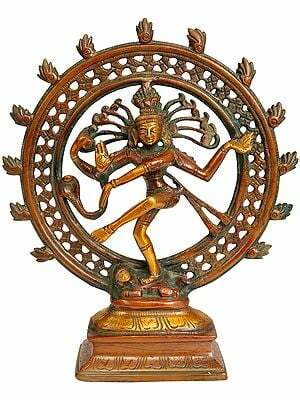 This is not a threat, but a symbol of the inevitable destruction of all that exists, the cataclysmic fire in which the universe will, in future time, be purified so that it may be renewed. 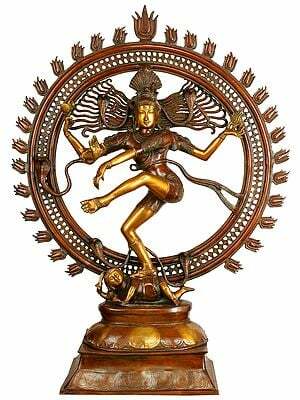 This cycle of time, from the remote past to the remote future, runs in the great fire-cycle within which the god dances, filling it in every direction. 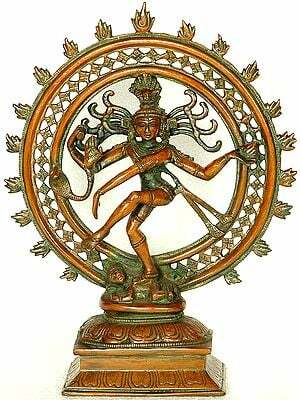 Between past and future is man’s present, and to this mortal condition the god addresses the remaining symbolism of his dance. 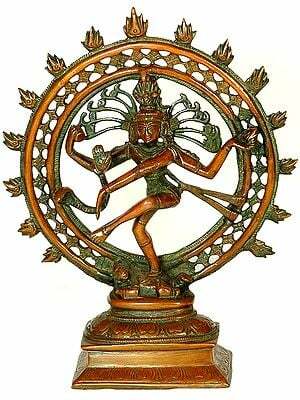 To allay fear, his right hand is raised in the gesture of reassurance, abhaya-mudra, while his right foot crushes with all his weight a deformed, squirming dwarf which represents unenlightened man. 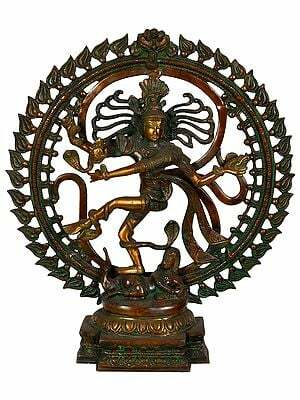 While symbolically destroying this grotesque and grasping creature, Shiva indicates with his extended left hand the rising of his left foot, which is directed out of the circle in another dimension, through the cycled of time-conditioned existence to the eternal axis wherein lies the freedom of the spirit called Moksha. 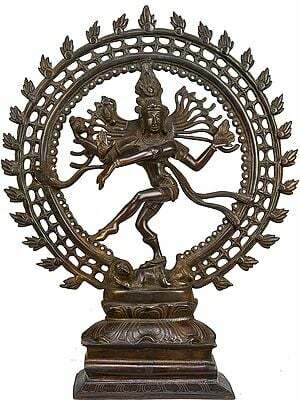 The dance takes place within man, in the shape of spiritually liberated man, who is co-extensive with the measured rhythms of the universe. 12.0" X 9.0" X 3.0"